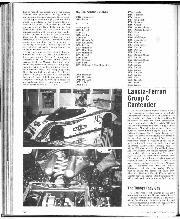 The 1983 Monte Carlo Rally is reported on elsewhere in this issue. While it remains a prestigious event, and according to one motoring weekly, "has an unequalled charisma", it has changed vastly in character since the first of the series was run, back in 1911. 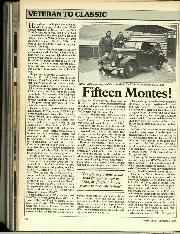 I am indebted to Lord Montagu of Beaulieu for reminding me, in a most interesting piece he wrote for another motoring weekly, that the "Monte" is now 72 years old, a record, as he says, probably beaten only by the French Grand Prix — in terms of International contests, of course, because the Shelsley Walsh hill-climb dates back a further six years, but I would assure His Lordship that the idea of this look-back occurred to me before I saw his own very enjoyable survey of the pre-1914 and inter-war Monte Carlo Rallies. . . It was in the late 1920s and 1930s that I felt envious of those who embarked on the great winter adventure. In those days it consisted of getting to the Principality of Monaco, hopefully out of the cold and the gloom into Mediterranean sunshine (but so often it was raining!) 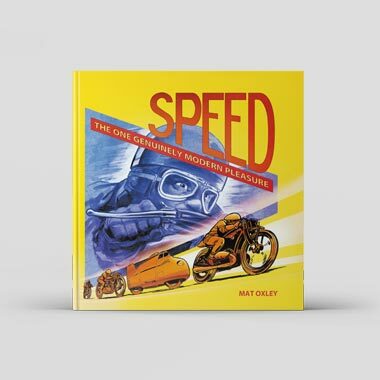 at what was then regarded as a pretty tough average speed, in almost standard cars, from far-distant taking-off places, with three days in which to do a total of 2,334 miles. To one young enthusiast it seemed excruciatingly exciting, as it was, when some of the well-equipped and optimistic British crews never got as far as the cross-Channel steamer, from their selected starting-points of Glasgow (from 1924) or John O'Groats (from 1926), such was the severity of an English winter on the roads and cars of pre-war days — and how at least one small boy (and no doubt many grown men) prayed for much snow during the week of the Rally — and how often, in later years especially, it fell too late. . . The fascination of this unique event was not diminished because it could be. and was, won by quite insignificant little cars (such as a Fiat 509 in 1928 or the 904 c.c. Licorne that won in 1930), given proper preparation, skilled crews, and reasonably unfreakish weather, plus of course the essential degree of luck. I remember, as a schoolboy, going to see the competitors pass through London on their way to catch that boat at Dover — not then a specially-chartered ship, mark you, but the ordinary cross-Channel packet, which might be prevailed upon to wait a short while to meet the Rally schedule, but no longer — where they had breakfast at the RAC in Pall Mall. I think it must have been Major Douglas-Morris (whose daughter I met later at Southport sand-races) who came in driving a Triumph Super Seven saloon, with snow-shovels on the roof. Admiring as I was, even to me, then, this seemed an improbable car in which to endure the winter marathon. . . . It must be remembered that many of the cars were open tourers or sports-models, with just the hood and the talc side-curtains as weather protection, at a time when thermal underwear and lightweight bad-weather coats, like today's Functional clothing for instance, had not been invented, heaters were either crude or absent altogether, and windscreens would be lowered for vision in fog or snow. No wonder the Monte Carlo Rally seemed a very tough assignment, especially to those starting from places like Belgrade, Bucharest, Riga, Tallinn, Umea or Jassy in Rumania, for example. 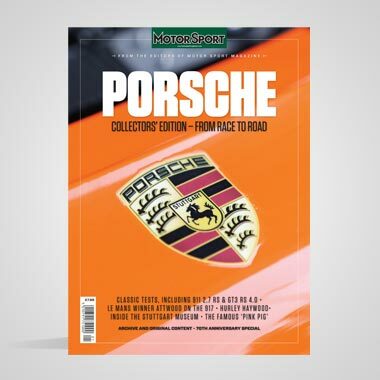 Even those who opted to go from Monaco and try to return there were faced with some 2,000 miles of hard driving, much of it at night, at an overall average-speed that was up to 25 m.p.h. by 1929. 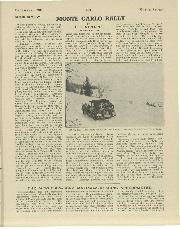 Traction was a major problem, for snow-chains were not very reliable for any distance, especially if the drivers had to press on, and if they broke loose could rip a mudguard, which would cause marks to be deducted when the cars were examined for condition on arrival. And the winch that, attached to a convenient tree (if any) could pull a car out of a ditch, was not soon until the 1950s or thereabouts. 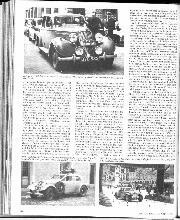 Yet all manner of cars and drivers took part in the inter-wars Monte Carlo Rallies, and the richer amateurs were able to afford pre-Rally recces, even to places behind the Iron Curtain. 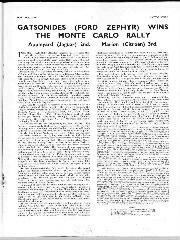 Motor Sport used to support the event, when its then-Proprietor, T. G. Moore, was a competitor, in cars like AC, 4½-litre Lagonda, and Hudson Terraplane, giving advice to others after returning from those expensive and elaborate reconnaissances. After the fairly leisurely pre-1914 Rallies, the Monte Carlo event was resumed after the war, but not until 1924, in which year a 2-litre Bignan saloon carrying two ladies and two gents (there were marks to be gained for a full complement of passengers) was the outright winner. As its entrant, J. Ludure. had elected to start from the Glasgow Control, this may have aroused interest in the winter adventure in this country. At all events, in 1925 the Hon. Victor Bruce in his AC Six commenced his onslaughts which were to be so successful and direct more attention on the event among Britain's sporting motorists. That year, however, Repussau's big Renault 45, seven up, won, from the unlikely starting point of Tunis, a little jaunt of 2,500 miles. Bruce had won his class and was third in the Concours de Confort, a category which was to attract the British very much in later events. They would deck out a car with every possible extra, adding things like washing and shaving facilities, a dining table, curtained-off rear compartment, cutlery, de-froster, radio, stowages for everything, masses of extra lamps, etc. Sammy Davis was adept at going for this class, the whole route having to be covered just the same, but with especial care in such heavily-laden cars. 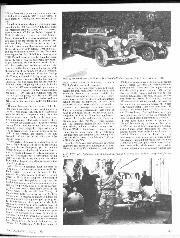 He used immaculately-appointed Armstrong Siddeley, Daimler Double-Six and Wolseley cars. Even in 1926 there was a final regularity-test over the Col de Braus, forerunner of later high-speed tests in the snow-bound hills behind Monaco, although for some years it was a series of driving tests that decided the placings, and so keen were British entrants that a replica of these tests would be laid out at Brooklands and elsewhere, for some unofficial practice. The Rally really took off here after Bruce had won outright with his AC in 1926, a feat which entailed doing 2,641 km. from John O'Groats to the finish in less than 74 hours, including the time on the boat. At this time, in spite of outward decorum and their scanty clothing, the ladies took an active interest and the Hon. Mrs. Victor Bruce won the newly-introduced Coupe des Dames in 1927, in an AC, starting again from John O'Groats. To make this official, Mr. A. K. Stevenson of the Royal Scottish Al had to seal and start those competitors who chose that Control and as he hadn't a car someone had to give him a lift back to Glasgow, where he then worked the passage Control. . . .
Before Mrs. Bruce gained the headlines, the wife of a Citroën agent, Mme. Marika, had finished third in the 1926 Rally, behind the winning AC and a Sizaire-Frères, from Brest. 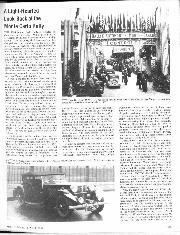 To their credit, woman drivers were in the top three outright placings on five occasions in those inter-war events, the highest-placed being Mme. Schell who, 4th in 1993, 3rd in 1935, brought a Delahaye home 2nd, from Athens, in 1936, behind Zamfirescou's special Ford from the same starting place. But the lady I remember best was the surgeon, Mrs. Morna Vaughan. She had masses of crashes, and one year the bad conditions prevented her from even getting to the start. Then, in 1932, with success in sight, she and her passenger, a young girl medical-student, came upon a had accident about 100 miles from the finish. They stopped, set broken legs, and remained with the wounded in pouring rain until more help arrived, then, as in a fairy story, they rushed off in their Triumph Nine saloon, and won the Coupe des Dames. . . Mrs. Vaughan is said to have gone on competing into her 80s. 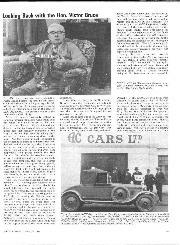 A Laffly motor-coach took part in 1927, and that irrepressible publicist and motoring-journalist, Dudley Noble, used a Hillman Wizard towing an Eccles caravan. But as the years rolled on it got more difficult, more professional. Even before the war the regularity-tests encouraged the entry of very special cars, equipped with sketchy fabric bodies for lightness and "fiddle brakes" etc., in which the luckless occupants somehow contrived to survive the journey, a classic example being the Ford V8s of Zamfirescou, Grista and Col. A. Berlescu, of 1936, and the secret changing of axles of a more suitable ratio was not unknown. In this short look-back it is not possible to go into all the rules and regulations governing the "Monte" but it may he said that points varied with starting-Controls, such as Athens being worth 1,000 compared to 850 for John O'Groats starters, Penalties after completing the course ranged from exclusion for missing a Control, being over an hour late (or conversely going 20% too fast) or dropping a passenger en route, etc. A male driver taking part in the Ladies' Cup part of the Rally would also have been excluded, said the Regulations, and you lost ten marks for each lamp dented or missing, to 200 marks if the entire lighting-system had ceased to function. Thinking again of the ladies who faced the Monte Carlo ordeal, one is reminded of blonde teenager Kitty Brunell, daughter of the famous photographer, who had a go in a Singer Junior and then drove 14/45 Talbots in 1928 and 1929, her first two-door Weymann saloon having the name "Kitty" inscribed on the driver's door, and her four-door Talbot being named "Kitty II". I thought she was very beautiful; and so did wealthy Ken Hutchinson, who married her. . . .
One recalls too, the sad case of Eleanor Allard, after her car had broken down on a post-war Monte Carlo Rally. "Never mind", she told her girl-companion, "Sydney (her famous husband) will be along soon and we will flag him down". They did, but Syd. was on his way to outright victory, in the Allard P2 saloon, in 1952, and having slowed for scarcely a second, to ascertain there were no physical injuries, he just had time to yell "See you in Monaco" to the girls, before roaring on. We were very impressed when the Clapham dignitaries greeted the Allard crew on their return home, thinking of the prestige they had earned for Great Britain. But this was somewhat tarnished when the ever-honest Syd. was asked, after a lecture to the Public Relations Officers Association or somesuch, how many cars he had sold as a result. "Oh" replied Allard, "I don't think we actually sold any because of the win". . . . I used to think that absolute bliss would have been doing the Rally, as Howey did, in a 36/220 h.p. Mercedes-Benz two-seater, but it was among those who went off the road before Glasgow, in 1930. Another who crashed early was Comdr. Glen Kidston said to be more concerned to set a new record for the journey in his Bentley than with the Rally. Caracciola drove a Mercedes saloon in that year and Bugattis took part in 1928 (Friderich in a Type 44 saloon), 1931 and 1932, and had even done so before the war. They were never higher than 3rd. (Schell, from Stavanger, in 1931). Donald Healey defeated a stupid low-speed regularity-test of 1932 by borrowing tiny wheels to gear-down his 4½-litre Invicta, so that it was said the chassis rested on the ground until the tyres were inflated, and reversed the process, with the same type of 100 m.p.h. low-chassis Invicta in 1934, by using enormous 9"-section Dunlop Air-Wheels, at around 10 lb./sq. in. pressure, to improve ground clearance. Healey had won for Invicta in 1931 but nearly lost his life when the Alfa-like 2-litre straight-eight Triumph Dolomite he drove in 1935 was demolished by a train at a Denmark level-crossing. The Rally was not all fun and games — Dr. Van Eijk's Graham-Paige was run into by a competing Rolls-Royce in 1932 and a passenger was killed and a head-on collision happened on the Mont des Mules the following year. Humour, however, there was as well. Like the time when a car slid off a snowy road and over a ravine. It was pulled out, only to be shunted in again by the next competitor along. And the occasion when one car landed in the same way, after a monumental skid, only to discover there was another car underneath it. Even the correct Sammy Davis could not refrain from recounting the embarrassing things that happened when a lady co-driver inserted a patent heater down the neck of her overalls, and finding it too hot, demanded of the men in her crew that it be instantly retrieved. . . .
Those early Rallies were days when they might have to dig for hour after hour just to get through the snow in the Grampians, yet the London Passage-Control was hidden off Leicester Square, with the Police indifferent to Rally cars rushing in and out. One recalls, too, a very famous racing cyclist who decided to try the Monte but whose Jaguar hit a Glasgow tram, eliminating him a few miles from the start. . . .
After the war it remained much the same tor quite a time. Ordinary cars, even a perpendicular Ford Anglia, continued to be entered. The Concours de Confort remained attractive so that when, in 1950, Mike Couper's fully-equipped Rolls-Royce was damaged by a lorry near the finish it was murder, and I always remember how scathing Couper was, in his book about the Rally — there have been a great many books on the Monte Carlo Rally — ask Eoin Young, of Motormedia Ltd.! — of Armstrong Siddeley Motors when he received no thanks from them for getting a Sapphire through to a good placing. H. E. Symons was one of the greatest of the Rally exponents, notably with those carefully prepared Wolverhampton Sunbeam entries using skis on the front wheels in snow, but I have never quite believed the story, told in his book (the first of the rally sagas) about how, when they drained the hot water from the Sunbeam's radiator after retiring near Jassy, it froze before it had touched the ground! Leo Cozens and A. H. Pass supported those vintage rallies in Sunbeams, to which Whalley's Model-A Ford contrasted. 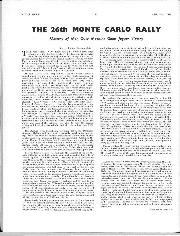 Then, as the post-war years rolled on, the rally became tougher, more costly to take part in, and eventually became an event mainly for professional works teams, the road sections of less importance, the high-speed tests in the mountains behind Monaco all-important, so that great quantities of spiked snow-and-ice tyres would be consumed and pre-stage recces were essential. These tests gradually increased in length from 165 miles to 360 miles, but in 1950 the road section stopped all but five cars. For a time "the Monte" remained THE rally, and the girls, Sheila van Damm, Anne Hall, Pat Moss, Nancy Mitchell etc., still competed against the most famous of rally drivers, and the occasional racing driver, Tommy Wisdom, for instance, being a regular competitor for many years, with his wife Elsie (not forgetting her daughter Ann) taking a big Chrysler Airflow saloon from Athens in 1936, and a Mini after the War. Into the 1950's, cars like Galsonides' enormous Humber Super Snipe, and anything from Hillman Minxes to ordinary Ford V8s did very well, and in 1956 Ronnie Adams was able to win with a Jaguar Mk. VII saloon. After that it became increasingly more difficult. There was that unpleasantness over the winning Minis lamps in 1966, to the advantage of the French, and much of the old prestige diminished. This year, though, the 51st of the series has regained its old status, as the first 1983 contest under the revised rally rules and the first one of the year counting towards the World Rally Championship. Last year there were 299 starters. This time a limit of 250 has been set, with 67 turned away. The English contingent now just assembles at Dover for the sea-crossing, but there is a road section converging at Grenoble. I was never lucky enough to go on the "Monte", but reporting it was the next best thing. In 1950 I went with John Blunsden in a Vauxhall Victor Super, which threatened to shed its exhaust system. With difficulty we located the General Motors depot in Lyon, but the impression was that the one man in charge on that Saturday afternoon did not realise that GM made Vauxhalls! That year, John had an ulcer and so drank only milk, which meant that I had to consume his ration of wine en route! 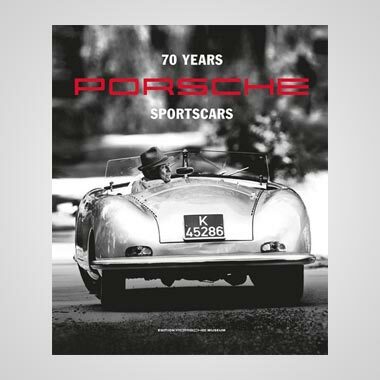 Another year I set off with DSJ in a Porsche and we had another alcoholic and gastronomic journey, after he convinced me that there was no need to go up into the freezing mountains at night, as all the results would be displayed at the Sporting Club in Monaco! I also recall a time when the BBC was showing a Monte Carlo Rally film in their Manchester studio and asked me if I would compare modern with pre-war in the London studio. I arrived in plenty of time at Portman Place but they contrived to lose me in the basement, with the result that I was taken into the studio after the film had been shown — fortunately, I am good at improvising and later received a letter of thanks from the Producer for saving an awkward situation. Then there was the year when I drove to Llandrindod Wells (no neon-lit roundabout at Cross Gates on the A44 then!) to watch the competitors at the Passage-Control there. I decided to fill the Morgan Plus-4 with petrol before they arrived and, seeing a well-lit garage, drove in. Before I could get out from under the hood someone rushed out, snapped open the filler, shot the fuel in, and before I could pay, yelled "Off you go and good luck. You are the first in". I realised I had been mistaken for a competitor although, by then, open sports-cars were no longer eligible . . . And now, over to G.P for his report on page 292. — W.B.